A landmark work in English-language haiku, with unprecedented scope and focus, Where the River Goes details and celebrates the evolution of the nature tradition of haiku over an active period of fifty years. Edited by Allan Burns. 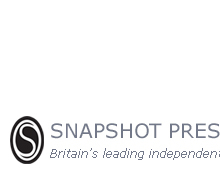 Snapshot Press sponsors two international annual awards for unpublished collections of short poetry (including haiku, tanka, and haibun): The Snapshot Press Book Awards and The Snapshot Press eChapbook Awards. Award winners have their collections published by Snapshot Press. We also invite haiku entries for our annual Haiku Calendar. Submissions are now closed for the first tradition-spanning anthology of one-line haiku in English. Work on this extensive anthology is ongoing and notifications of work selected for inclusion will be sent to poets as soon as the text is finalized. The deadline for The Snapshot Press eChapbook Awards 2019 is July 31, 2019. The deadline for The Snapshot Press Book Awards 2019 is November 30, 2019. The deadline for The Haiku Calendar Competition 2020 (for work to be considered for the 2021 calendar) is January 31, 2020. Entries may be sent by email as well as by post. Please see the entry guidelines for details. The results of The Haiku Calendar Competition 2019 have been announced. Please see the results page for these and previous results. The results of The Snapshot Press eChapbook Awards 2018 have been announced. Please see the results page for these and previous results. The results of The Snapshot Press Book Awards 2018 have been announced. Please see the results page for these and previous results. Our forthcoming titles include books by Thomas Powell, Billie Wilson, Matt Morden, Robert Gilliland, Michael McClintock, and paul m.; eChapbooks by Alan S. Bridges, Jean James, and Matthew Caretti; and an anthology celebrating the best of the eChapbook Awards to date.